If you love someone who loves to ride their motorcycle on the open roads of Lake Charles, you want them to be safe. 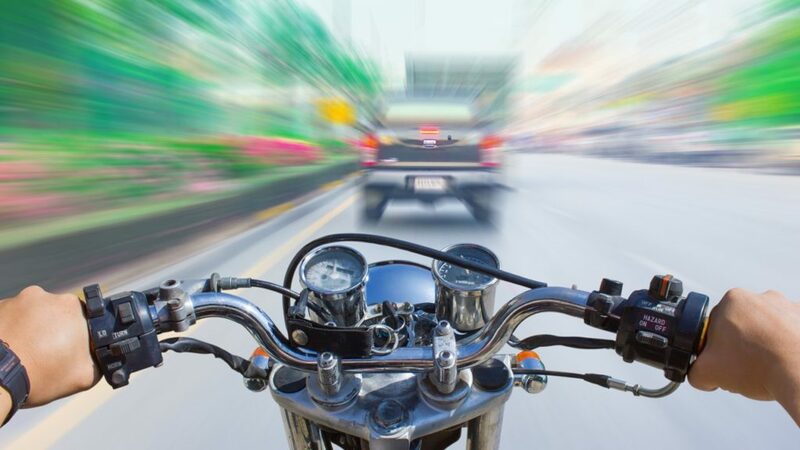 Whether they ride for pleasure or the motorcycle is the way they travel every day, you want them to avoid an accident that could lead to injury or even death. Remind them of these tips for safe riding before they head out to cruise. Wearing a helmet might feel a little heavy and may not keep your hair looking its best but they protect you. Helmets prevent head and brain injuries in a motorcycle crash. Your chances of having an injury to your head or brain due to a motorcycle crash are lessened by 50% when you wear a helmet. It is also the law to wear a helmet in Louisiana, so don’t break the law, wear your helmet. Flying debris and road dirt can hit your eyes causing injury. This can be avoided simply by wearing shades, goggles, or with a windshield on your bike. Your eyes and face can also be protected by a face shield or visor on the helmet you wear to protect your brain and head. Use both hands to operate your motorcycle at all times. If a rider is seen operating their bike and doing something else like using hand gestures to communicate with a fellow rider, it can be considered distracted driving. Law enforcement can issue tickets for distracted driving. Stay fine fee and safe and use both hands at all times. Although it is fun and sometimes necessary to have a passenger with you on a motorcycle, the safest way to ride is single. One rider can pay attention and balance their bike easier than when they have a passenger. Less experienced riders sometimes have trouble trying to accommodate a passenger and it could lead to a motorcycle crash. Avoid weaving in and out of traffic because other motorists cannot see motorcycles as easy as they can see cars and trucks. Staying in your lane, as near the center as possible, keeps a motorcycle and rider the most visible at all times. Visibility saves lives by avoiding motorcycle crashes. Share these tips with those you love that ride a motorcycle. They could lower the risk of being involved in a wreck that could lead to injury or death. NCR Legal is a Lake Charles law firm that loves the community and wants your loved ones to be safe when motorcycle riding. If you or someone you love ever needs an experienced, big settlement winning, local lawyer to represent you after a motorcycle crash, call them for a free initial consultation. Their years of experience, knowledge of how the local court system works, and ability to fight big insurance companies getting you the largest payout due to injuries caused from a no-fault motorcycle wreck in Lake Charles, La can help you. Tell someone you love about them.